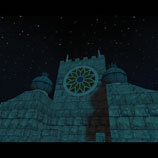 Welcome to our Ghost Master Walkthrough - Game Guide. 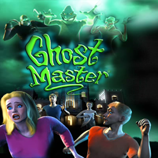 Here you will find a detailed walkthrough of the Ghost Master Game, built while playing Ghost Master Pc. 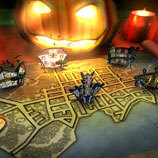 Our walkthrough also includes the Epilogue Assignment Class Of Spook 'Em High. As a bonus you'll find we've also put together a complete Ghost Guide - Haunter List that details all of the powers available to your haunters and their purchase prices! Our comprehensive Ghost Master Walkthrough will take you through every assignment in the game, freeing all the restless spirits and discovering all the hidden spirits along the way. We also cover revisits and additional haunter powers to get a triple Jack-O-Lantern Ghost Master scare rating. Our comprehensive Ghost Master Ghost Guide includes a complete list of the haunters found in the game, along with their powers and the cost associated with purchasing each power. This list of haunters and their powers will help you decide which haunter and power combinations will work best for your style of play. Having trouble finding what you are looking for? Our detailed SiteMap lists all of the pages in our Ghost Master site. 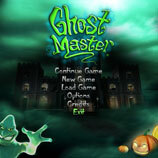 Our walkthroughs, video walkthroughs, and ghost guide for Ghost Master were created playing Ghost Master on Pc.